Greg Knight, managing director of independent bookmaker Jenningsbet, with more than 100 shops in Britain, is urging the betting industry to go back to its roots in light of the government’s FOBT decision. Welcoming the dawn of a new era, he said: “The government has made its decision and we need to respect that. We have to accept the things we cannot change. He added: “The retail betting industry needs to go back to its roots, and that means a more collaborative and healthy relationship with horse and greyhound racing. “We have to ensure that we become part of the local community again and are serving people who are betting within their means. On the prospect of the decision’s effect on the high street, he said: “We now need government to assist where it can in helping to minimise shop closures and job losses. 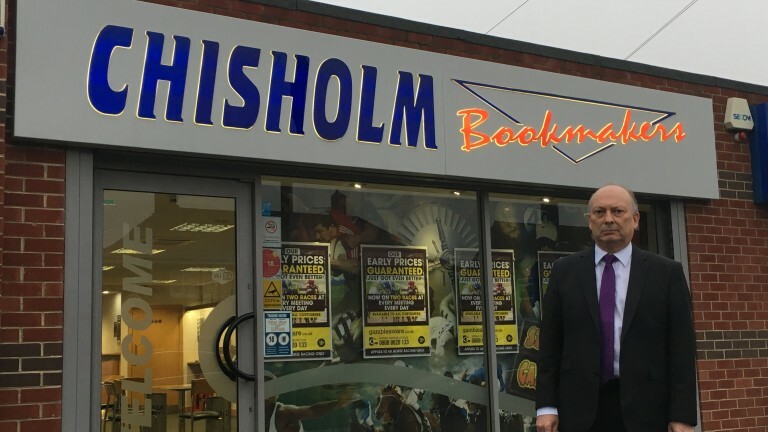 Howard Chisholm, managing director of Chisholm Bookmakers, a family-owned company with 50 betting shops in the north east of England, took a less optimistic view, fearing customers will take their business online. “This decision flies in the face of the evidence presented to the DCMS during the consultation,” he said. “It appears to be based on a combination of misinformation by commercial competitors of the betting industry and the irrational whinging of politicians seeking short-term kudos with their electorate. He added: “Retail bookmakers will need to use all their ingenuity to produce products that will keep those customers visiting shops. “This has been done before – when the National Lottery was introduced and when foot and mouth impacted the horseracing product. Chisholm warned, however, that the decision will prove a blow to racing. “The potential impact on UK horseracing cannot be overstated,” he said. “Our firm has not signed up to the SIS/RMG service because it required a commitment to pay £25,000 per annum for three years for each betting shop.